In a League of its Own: The DEva’s Integrated Low Frequency Square Wave Electronic Ballast. Designed from the ground up, the DEva 630w CMH ballast rewrites the rule book for indoor growers. It runs cooler and quieter than any other e-ballast, emits virtually no electromagnetic interference, and oscillates at just 100 Hz instead of 70,000 to 100,000 Hz! 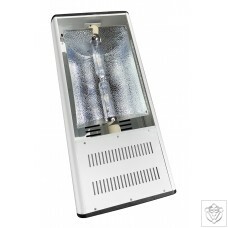 As such, it perfectly powers CMH lamps that all require low frequency drive. DEva even adjusts the output waveform to continually optimize the lamp’s output as it ages. DEva’s avionic-grade capacitors are rated for thirty-six years of continuous operation whereas even premium-priced European ballasts are rated for just three. With DEva you’ll enjoy a safer indoor garden with higher performance, longer lamp life, less lumen depreciation, and lower maintenance costs. DEva is a completely integrated, plug n’ play, no-compromise plant lighting solution. 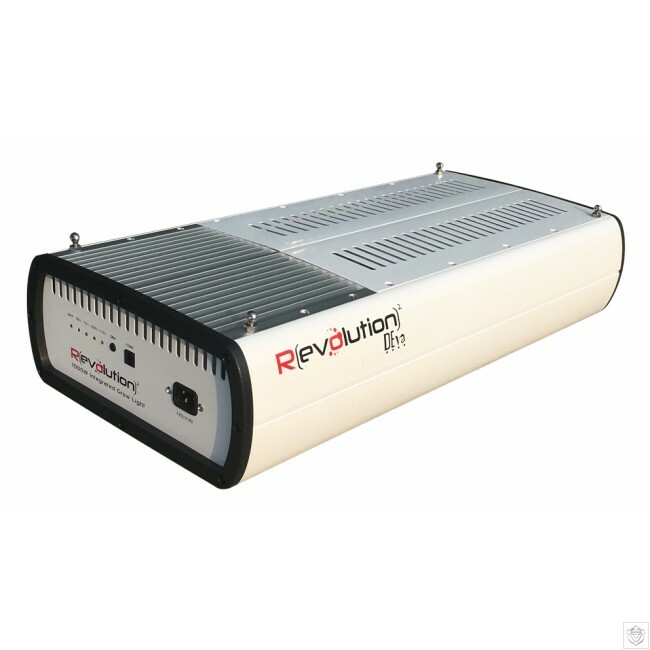 Our state-of-the-art, low-frequency square wave electronic ballast is built right into the reflector. 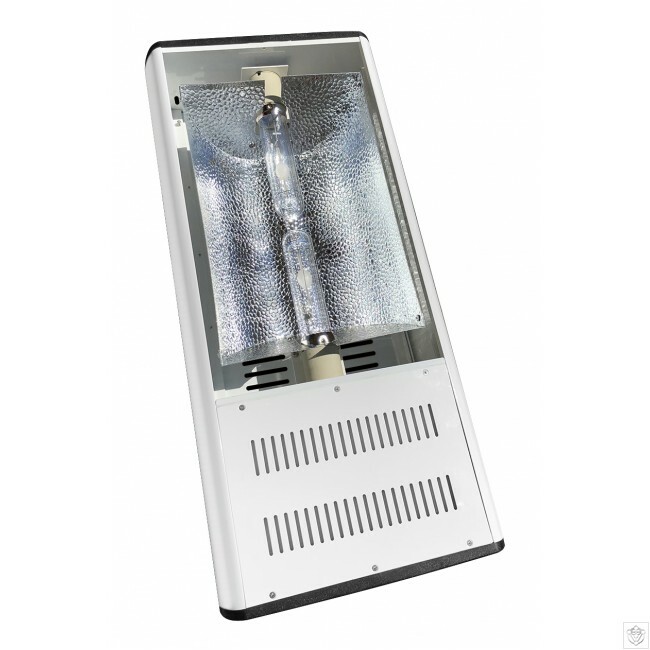 The reflector houses a pair of 315w CMH lamps. Arguably it’s not just DEva’s performance that sets it apart from the competition but the quality of its components. We designed and sourced everything from the ground-up, from the avionic-grade capacitors (rated for thirty-six years of continuous operation) to the 97% reflective German aluminum in the reflector. The low-frequency square wave produced by the DEva electronic ballast perfectly drives CMH lamps with virtually no electromagnetic interference (EMI) and none of the acoustic resonance issues that plague so many other electronic ballasts. All Revolution Micro products are manufactured at a state-of- the-art, ISO-certified manufacturing facility in Thailand. Quality, consistency and reliability drive everything we do. Usually phrases such as “state-of-the-art” and “cutting-edge” merely serve to prepare growers for budget-busting premium prices. Not so with DEva. Right from the outset, our goal has been to deliver an affordable and scalable plant lighting solution that’s attainable to both small-scale hobby hydroponics growers and large-scale, commercial-grade medical and licensed installations. One reason we devote so much time and effort into implementing bulletproof manufacturing procedures and quality control processes normally reserved for aircraft avionics and other “zero-failure” applications is to keep costs down! The other, of course, is to provide a new level of reliability for growers, especially those cultivating extremely high value crops. When failure is not an option in your day-to-day growing operation, you need control gear that’s been built according the same ethos. 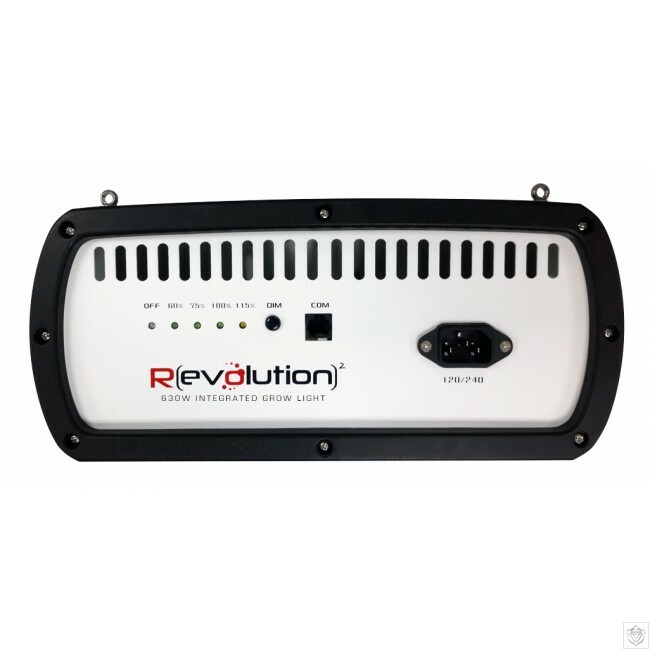 Compatible with the Revolution RLC-1 Smart Lighting Controller.